Roses are one of the most popular and best loved flowers in the world, which is no surprise when you see the beauty and elegance of these flowers. Roses originated in China, but today are grown all over the world. 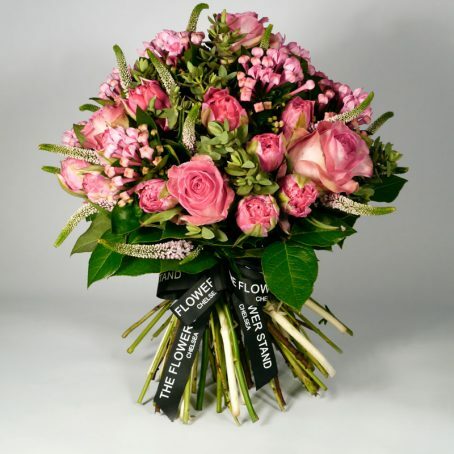 These luxurious flowers are available all year round in a variety of colours, sizes and with a range of scents. 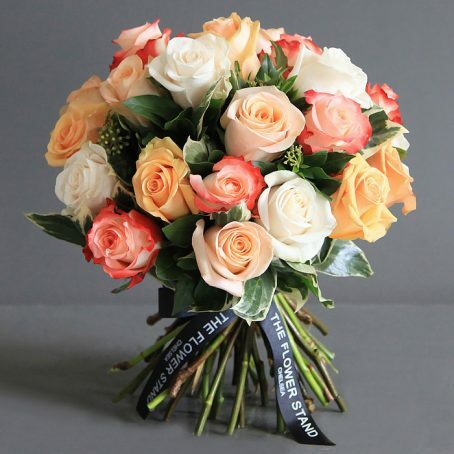 We only use the finest quality cut flowers to create our stunning luxury bouquets of roses. 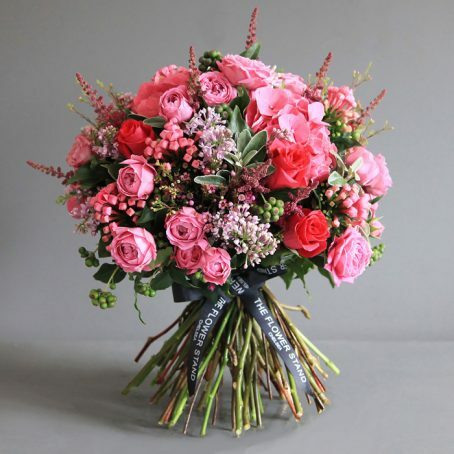 Our expert florists create exquisite hand-tied bouquets from our base in the heart of Chelsea. The perfect romantic gesture, for a loved ones birthday or simply to say thank you, roses always make the perfect gift. With free same day flower delivery throughout London, satisfaction is guaranteed with our premium service and luxurious bouquets. Our master Chelsea florists lovingly craft this beautiful bouquet of luxury flowers using the finest quality Ecuadorian Roses and seasonal foliage. 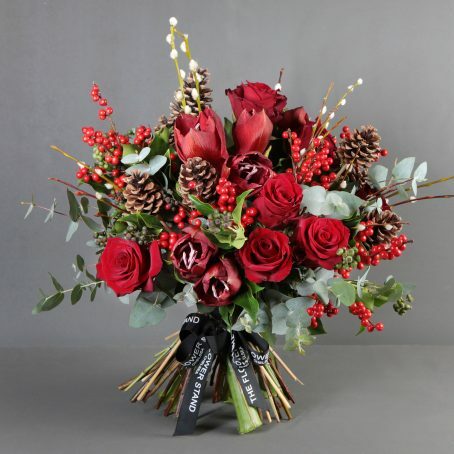 Red Christmas Bouquet comprising vibrant red roses and amarylis against a backdrop of eucalyptus, ilex and pine cones. A stunning festive display of premium cut flowers. A stunning bouquet of premium cut flowers, comprising Hydrangeas, Roses, Spray Roses, Lilac lilac, Bouvardia, Astilbe and seasonal foliage.